Among the new game features to be discussed are the Infinity Engine and the Connected Career mode. Aside from some very cool Kinect voice integration (shown off by Joe Montana at the Microsoft press briefing), it looks like this year's Madden is focused on improving the realistic 'on field' experience and Building a legacy through Connected Careers. This new gameplay engine delivers physics you can feel, creating an intense, realistic experience that guarantees no two plays will ever look the same. Predetermined outcomes are history, as players’ mass, momentum, speed, balance and other factors will influence every play, completely revolutionizing the Madden NFL franchise. Players trip and stumble as they fight through tackles and scrap for every yard, and the variety of unpredictable interactions means that the play isn’t over until your knee is on the ground. 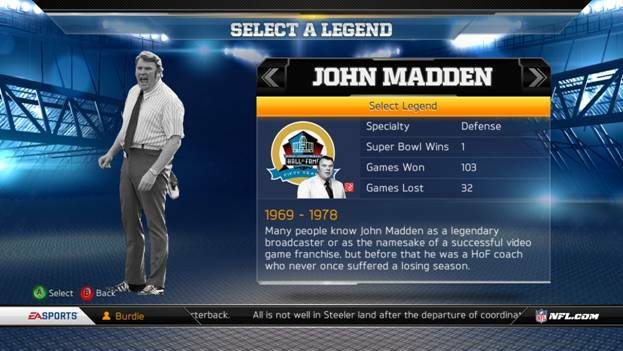 The Infinity Engine is truly the next great leap helping Madden NFL 13 blur the line between virtual and reality. Connected Careers gives users a chance to build their legacy as a player or coach (or both), in an attempt to achieve unique goals and ultimately land in the Hall of Fame in the first true sports RPG. The brand new Legacy Score allows users to quickly and easily compare their talents to not only others in the league, but to legends of the game as well. Running backs can see how they stack up against Walter Payton and Barry Sanders, while coaches can measure themselves against Vince Lombardi or even the game’s namesake, John Madden. Check out the new 'playbook' trailers here. 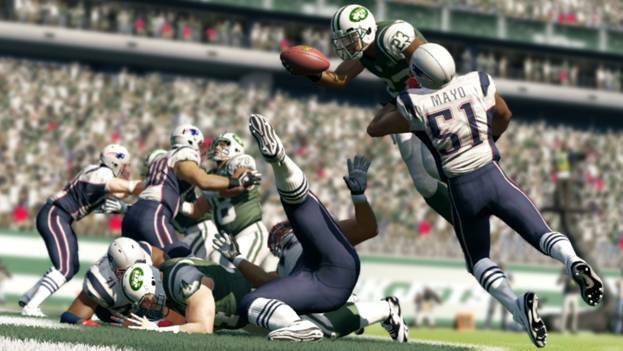 Madden is set to lead off the Autumn/Holiday game release deluge (as usual) this August.